UH-1C 65-09429. Armed with turret-mounted 40mm grenade launcher on the nose and two seven-shot pods of 2.75-inch folding fin aerial rockets (FFAR). 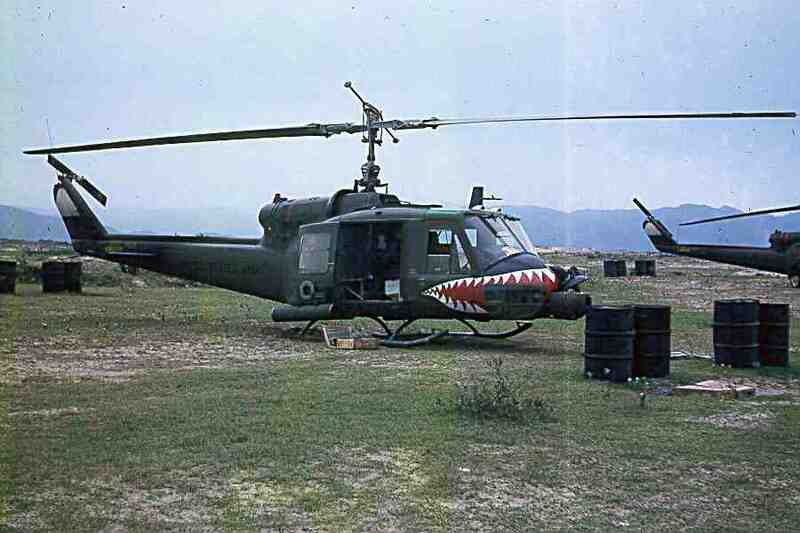 Note neither this Shark nor the one next to it has the white-and-blue stripes on the tailboom that later designated the 14th CAB (Combat Aviation Battalion). Shark 429 joined the 174th in October 1966 and flew 730 hours before being lost to the unit in April 1968.